Located on the west coast, the Peel region is your gateway to some of Western Australia’s most impressive scenery and a great place to spend some time warming up for adventure. Visit Waroona for a stop at the Lake Navarino Forest Park and escape into peace and serenity for a while, or practice your winter jetskiing across the lake, surrounded by a tree-lined horizon. Nearby in Pinjarra, spend an afternoon in the Edenvale Heritage Precinct, where the lifestyle of the area’s early European settlers has been preserved in the State Register of Heritage Places, such as the historic homestead of the McLarty family, who lived and farmed in the area during the 19th century. Then, get your heart pumping on a short waterside hike through the Lane Poole Reserve, before making your way north towards the desert. 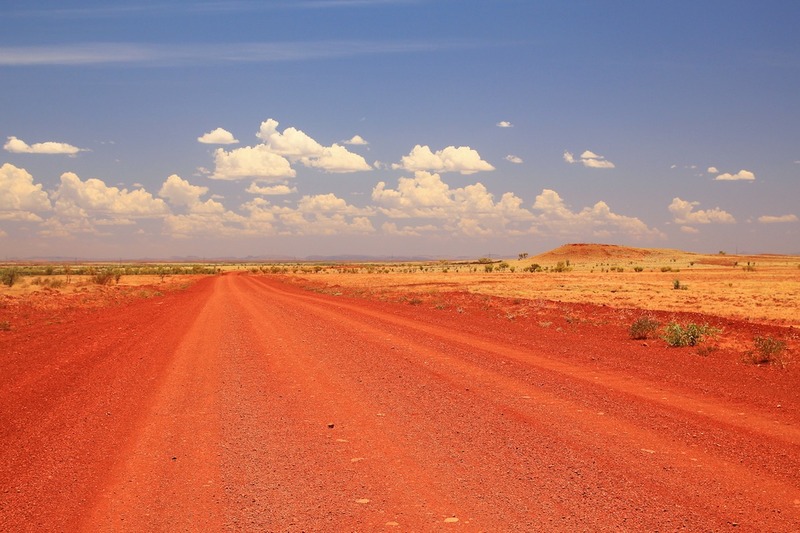 The Pilbara region is home to some of the world’s most ancient and awe-inspiring natural landscapes, including the majestic waterfalls and clear rock pools hidden in the Millstream Chichester National Park, dazzling beaches and magnificent coral gardens at Point Samson, and glowing red sands and ocean sunsets that are out of this world. While you’re there, visit the Red Dog memorial statue at Dampier, which commemorates Western Australia’s famous ‘Red Dog’, a friendly kelpie-cross who lived his entire life hitchhiking around Western Australia’s north. Take part in a whale-watching cruise in July, or settle back on the warm beaches at Hearson’s Cove with some wine and dinner to watch the Staircase to the Moon – a spectacular optical illusion that takes place during the full moon between March and November. After you’ve rubbed the trick of the moonlight out of your eyes, venture to the Karratha Hills to walk along the Aboriginal Yaburara Heritage Trail – named in commemoration of the Yaburara people, and home to many significant Indigenous sites.